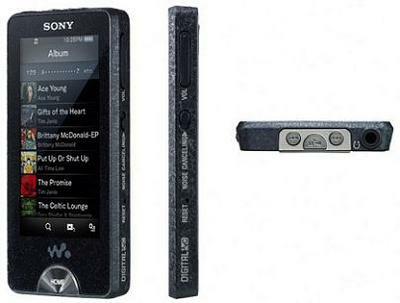 The Sony Walkman X series was without a doubt, one of the hotter gadgets to come out of CES this year. And now we hear it’s up on Amazon UK for pre-order. Pre-ordering will get you your new personal media player within two to five weeks, which should give you just enough time to get over their un-pocket friendly prices. Available in 16 and 32GB offerings, the 16GB model (NWZ-X1050B) will set you back £214 and the 32GB version (NWZ-X1060B) £283. If you missed the hoo-ha surrounding it in January at CES, you’ll have missed knowing the little known fact that the X Series truly outshines previous versions with its almighty 3-inch OLED touchscreen (with cover flow style navigation) and WiFi capabilities. You can see a video of Susi playing with it here. This isn’t exactly a media player for the frugal, but with Sony’s reputation for producing quality media players with in-built noise cancelling technology, perhaps it’s worth bankrupting yourself for a month. Pricey yes, completely and utterly awesome, yes yes yes. Pre-order here.